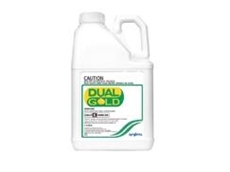 08/07/09 - Dual Gold herbicide is an ideal resistance management tool in the control of annual ryegrass (ARG), annual grasses and broadleaf weeds in a wide range of winter and summer crops. 07/04/09 - Grain growers, Jim and Mick Flockart, are over the moon after a new pre-emergent herbicide virtually wiped out herbicide-resistant Annual Ryegrass in a paddock that had been considered almost beyond redemption. 01/04/09 - Grain grower, Des Hickey, has successfully incorporated a new pre-emergent herbicide into his weed management program to stay one step ahead of herbicide-resistant Annual Ryegrass. 30/03/09 - Central region grain growers, John and Peter Nicholls, have finally turned the tables in the battle against Annual Ryegrass via the adoption of a new pre-emergent herbicide. 27/01/09 - Crop safety, weed control, spray application technology and water use efficiency will be key themes at a series of industry field days being held in the West Australian wheat belt next month. 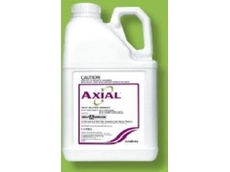 07/08/08 - Axial, available from Syngenta, is a selective herbicide. Australian trial results show that Axial can be tank mixed with a range of key broadleaf herbicides. 31/07/08 - Kenso Agcare supplies a wide range of agricultural crop protection products for controlling weeds and grass.